Image taken during an air show over Lake Michigan. 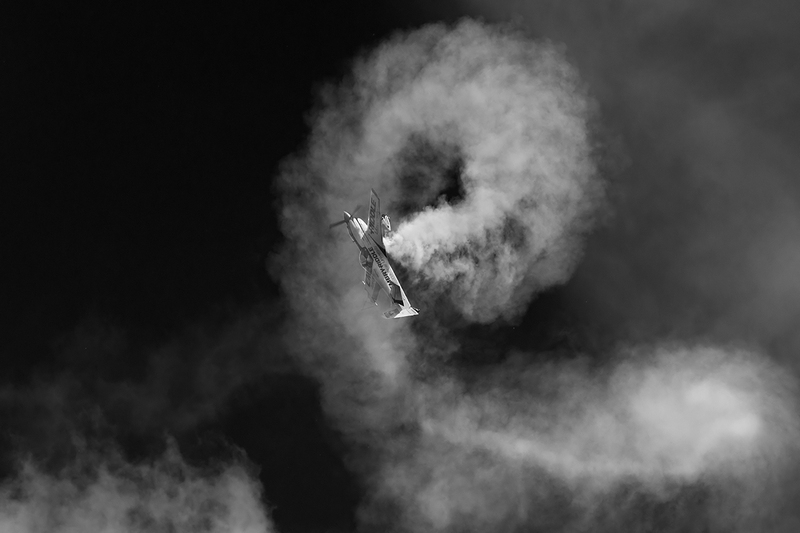 I converted to black and white to enhance the smoke trails against the sky. A work of art shot...everything about it is right and powerful. It fulfills the criteria perfectly.